Life is Messy…Can You Relate? – Happy. Homeschooling. Housewife. Taking a look at this picture you can probably imagine the day I was having. 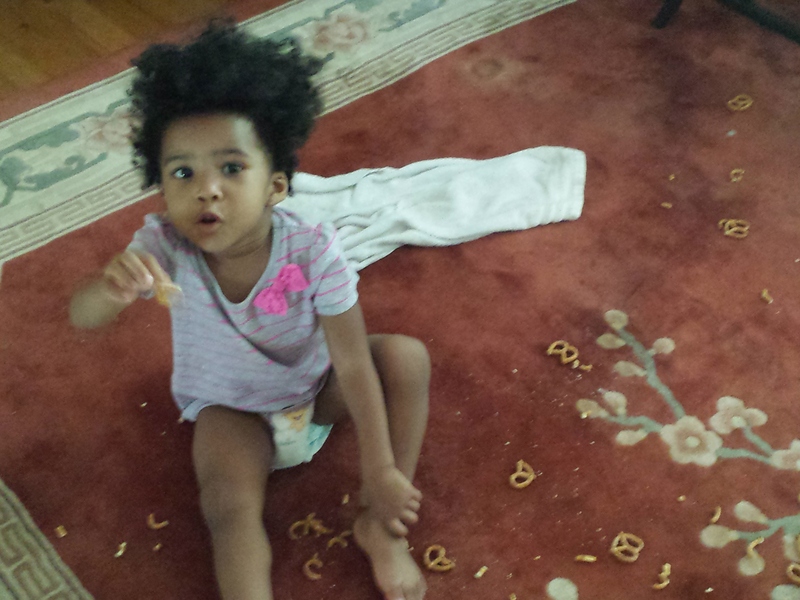 In the midst of Princess Jubilee’s fun throwing crushed pretzels all over the floor (and look at her trying to share)–I stood, a little dumbfounded, a lot overwhelmed, and totally exhausted. What a mess, I thought. And I wasn’t just talking about the newly created one on the floor. It seemed like everything at that moment in my life was messy. Enjoy the song, may it bless you as it does me!